Follow the trail to your prehistoric past with these fossilized dinosaur footprints! 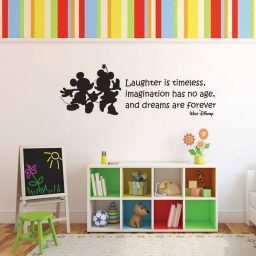 These vinyl decals are perfect for a child’s room, playroom, or as preschool classroom decorations. 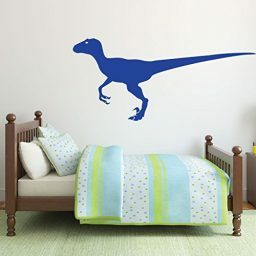 The three-toed design tells any pint-sized paleontologist that a dangerous predator is near – maybe a Velociraptor, or perhaps the fearsome T-Rex! 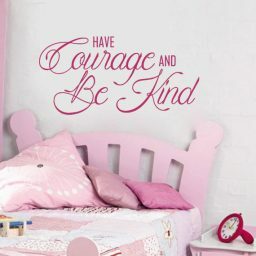 You can use these decals in so many creative ways. 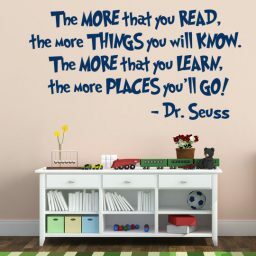 Put them on walls, furniture, windows, book covers, frames, or any other smooth, flat surface you can think of! These roaming dinosaur footprints are a great addition to an educational space! Feel the eyes of a predator on you without knowing where they are, just knowing … they’re HERE. 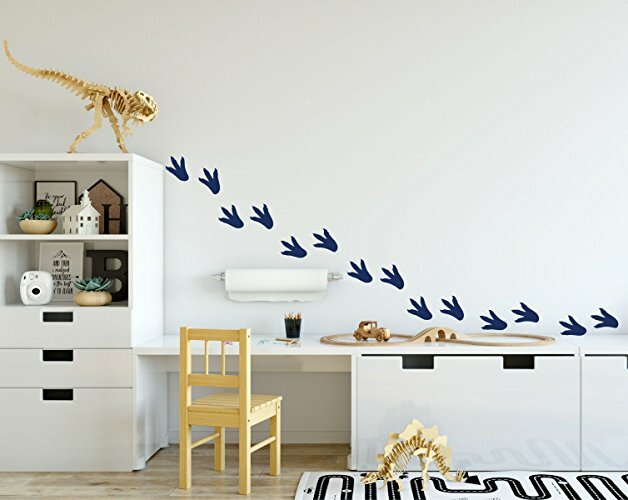 Use these fossilized footprints as a fancy classroom border that boys and girls are sure to love. Put them on the floor for preschool kids to follow. 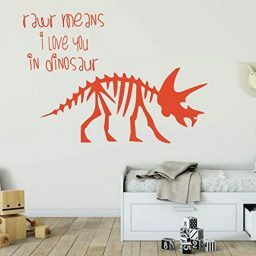 They would be a great addition to your son’s dinosaur bedroom or nursery, or use them as a fun way to move people down an office hallway. 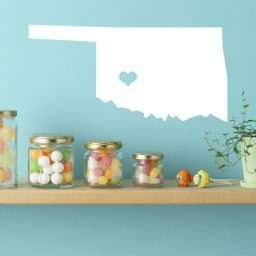 There are so many creative possibilities with this design! These decals come in sets of 7 for a total of 14 footprints. You can use them together in a row or space them however you would like them! Your footprint design will come with instructions for how to easily apply your image, and when you are ready for a change, they peel right off without causing any damage to your wall – unlike real dino prints! 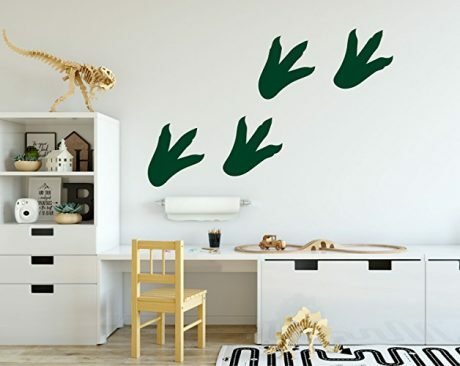 Stomp your way through history with our collection of vinyl dinosaur wall designs!